I am having a very interesting and exciting experience with a few chronic pain clients that has brought me back to such a simple idea. 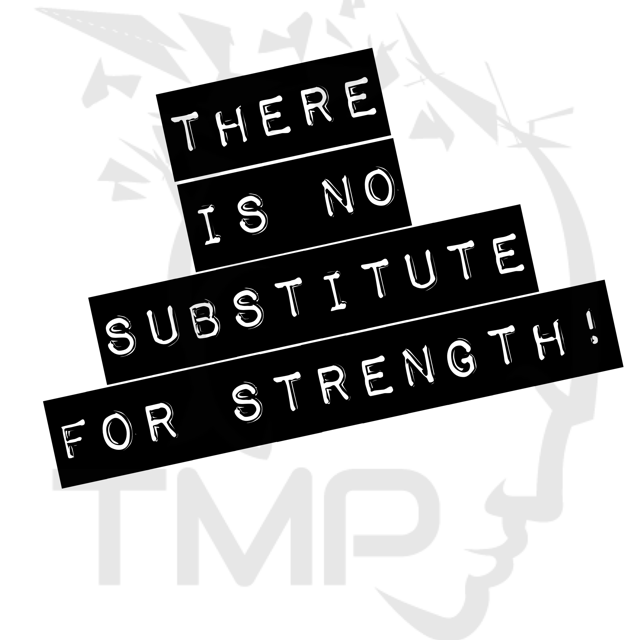 There is no substitute for pure freaking strength! Strong bodies generally don't hurt. 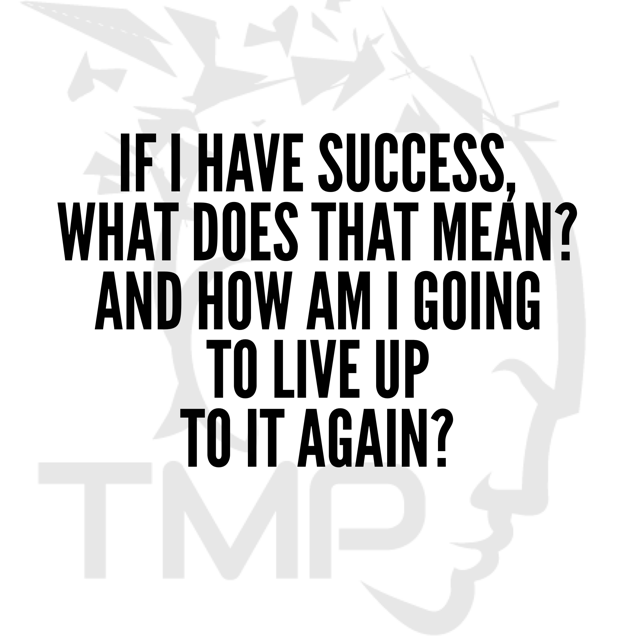 If I have success, what does that mean? And, how am I going to live up to it again? Sound like a familiar inner voice? The ones who conquer it, hear it loud and clear. They know it exists but they do not surrender. The ones who are defeated by it usually never hear it in the first place. All athletes want to be faster. 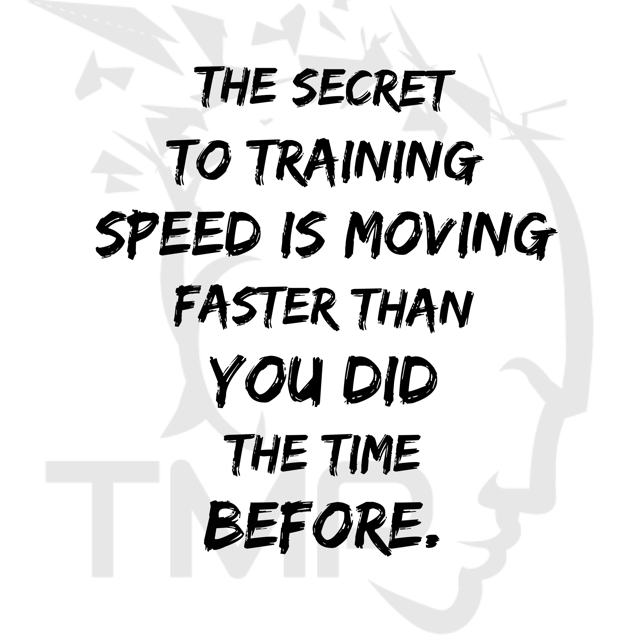 Most have never truly trained for speed before. Because just moving as fast as you can is not actually improving the speed that you can move. It's making you better at moving at that exact speed but not any faster. 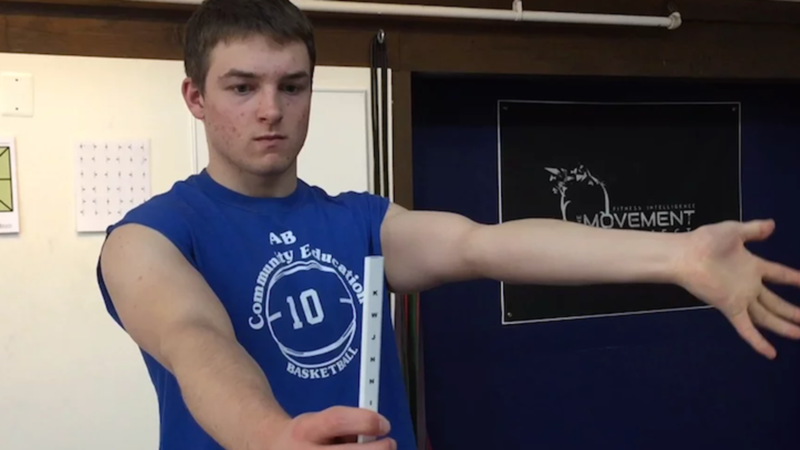 Post ACL injury training using applied neurology from Taylor Kruse on Vimeo. After a total ACL reconstruction you have to ask the question, WHY? What could have contributed to this injury? The first thing I asked my athlete was to reenact his body positioning when he injured his knee. 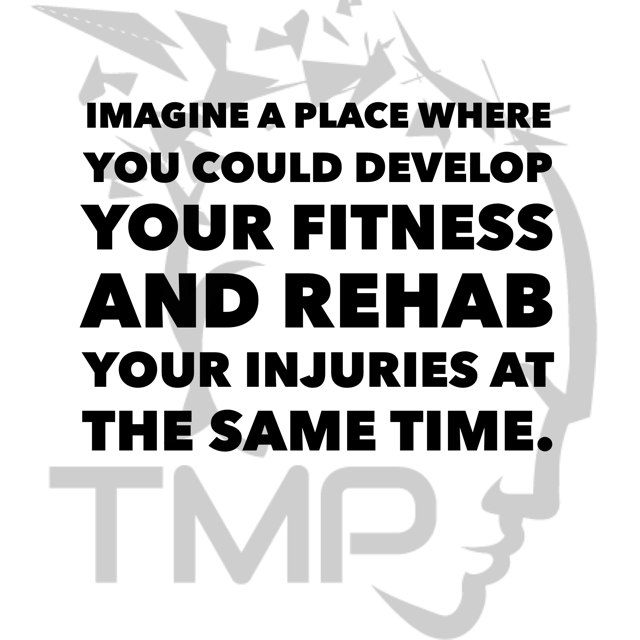 The TMP vision has always been to create an experience that bridges the gap between rehab and fitness. 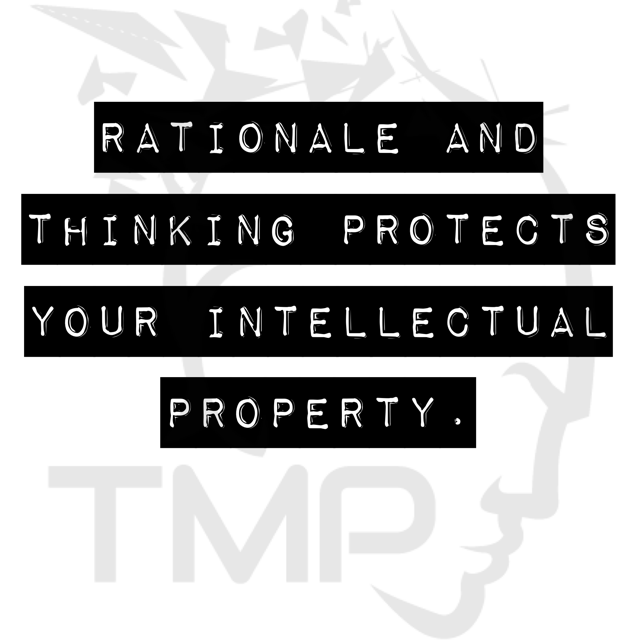 We don't consider these two things separate entities. It's all relative to the person and where they need to start. If you treat people like patients they will remain a patient. Freedom of Movement from Taylor Kruse on Vimeo. 16 years ago I met a mentor who changed my life, Thomas Barbeau. Are you training or are you exercising? Most training systems are output based. Let's use an Olympic lift or throwing as an example output. Both patterns require a harmony of different movements coming together at exactly the right time. What determines the quality of the output is the quality of the input! A push up is just a push up. A squat is just a squat. Movements like these are all part of basic human performance. They were given to us as a gift. They don't belong to anyone. They were already there for us. There are only so many ways that we can move. 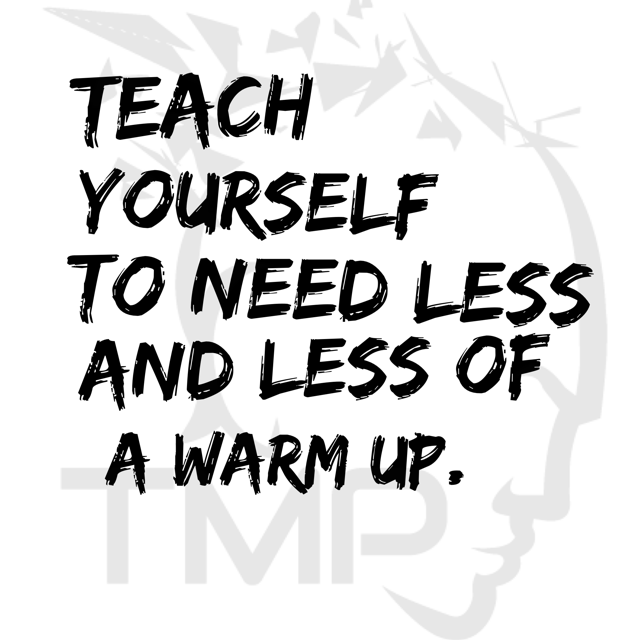 Do you really need to warmup? 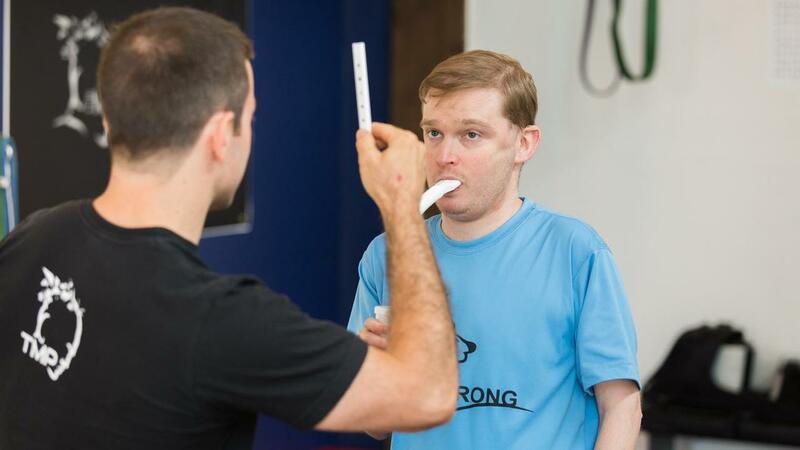 First thing to realize is that if it's taking you a long time to feel prepared enough to exercise, there are some underlying metabolic factors involved.